Day 3 y'all! I'm VERY excited about Day 3. Why? Well, because I get to share a really cool company with y'all! Also, I got to make something pretty. :) Well, I think it's pretty, at least! Of COURSE it had a cupcake in it. DecoArt sent me some really sweet paints, including their awesome Glamour Dust, which I'm now addicted to. They also agreed to give one of YOU this awesome Valentine's Day gift basket FULL of awesome paints and even a stencil! I cut a large doily into quarters and pasted them in the corners under the cupcake. 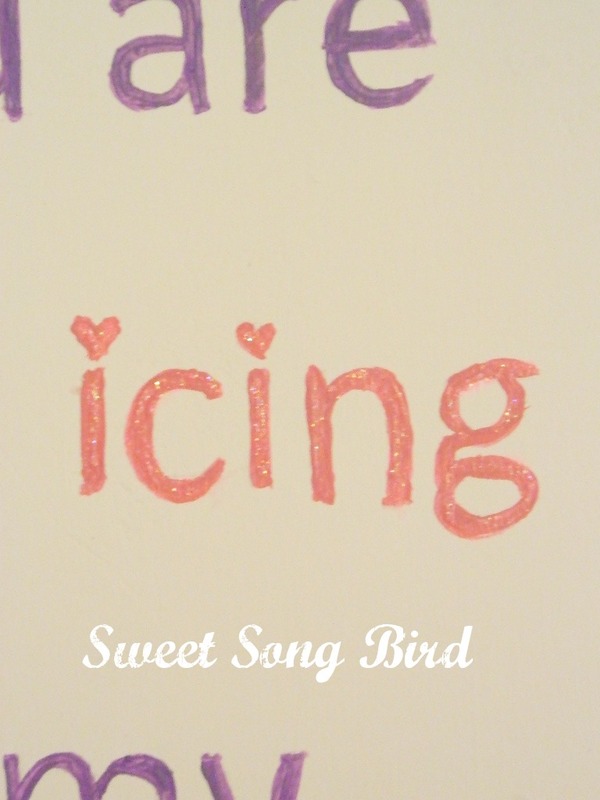 Then using my favorite transfer method, I got to filling in the lettering. 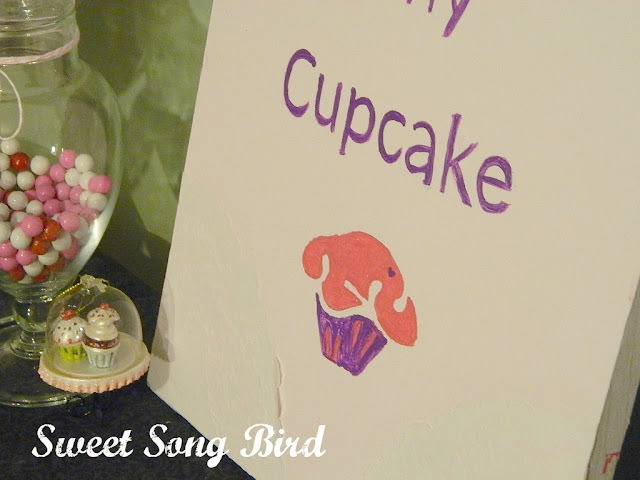 I used Purple Pizzaz and Dragon Fruit for the lettering and cupcake. I added a little sparkle with some Glamour Dust in Celebration Pink! What do y'all think!? Ok, I get it, you just want to enter the giveaway. Go on! Enter! Good luck! Now, the rules for the giveaway. Please enter below via Rafflecopter, and one winner will be chosen at random by Rafflecopter. 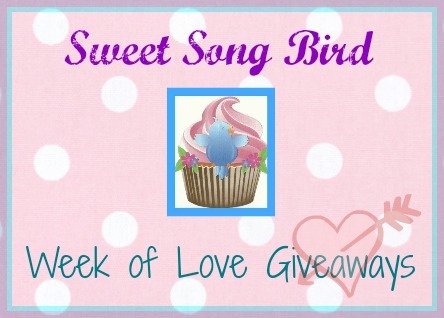 The winner will then be notified via email and the name will also be visible here in THIS post. Please make sure your leave your correct email address. Please respond to the email (vendor) with your information within 48 hours of the announcement, or else someone else will be chosen. 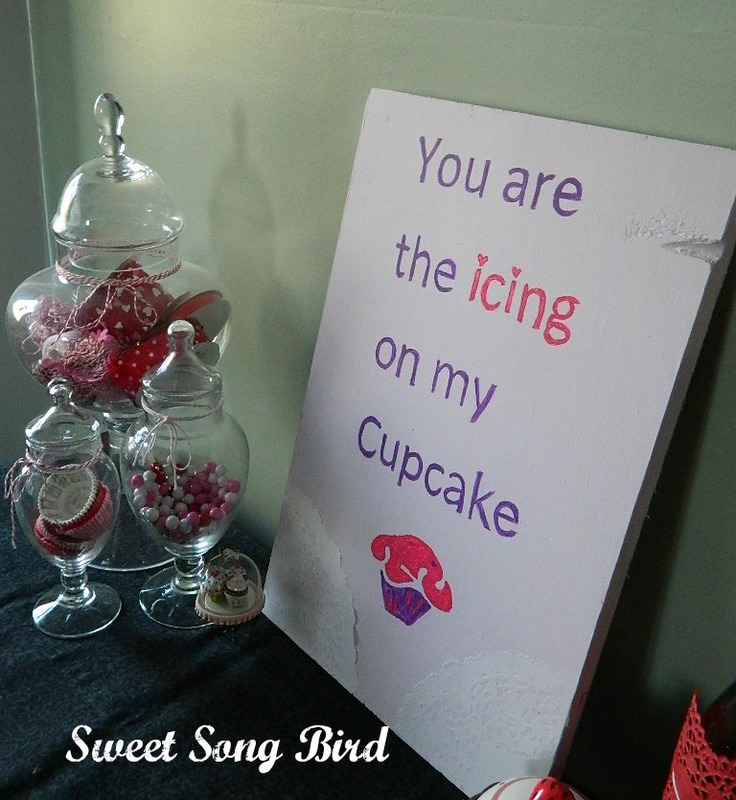 It is up to YOU to contact the vendor (DecoArt Inc.) to claim your prize. You can earn entries by following the instructions in Rafflecopter, some are optional extra entries, some are mandatory. You MUST comment below to qualify at all. What can you comment? Well just give DecoArt Inc. a little shout out or thanks for this awesome prize they so graciously offered, yes? Thank you and good luck! Love doing artsy stuff like this! Thanks for the giveaway!! I so love DecoArt paint! 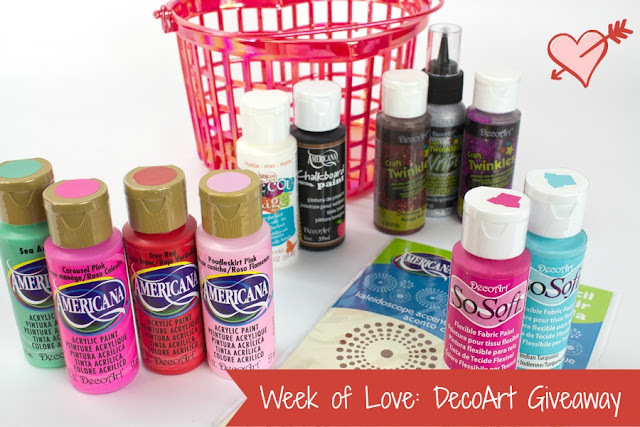 Huge fan of ANY craft supplies :) Thanks for the great giveaway Evey and DecoArt! I love their acrylic paints! 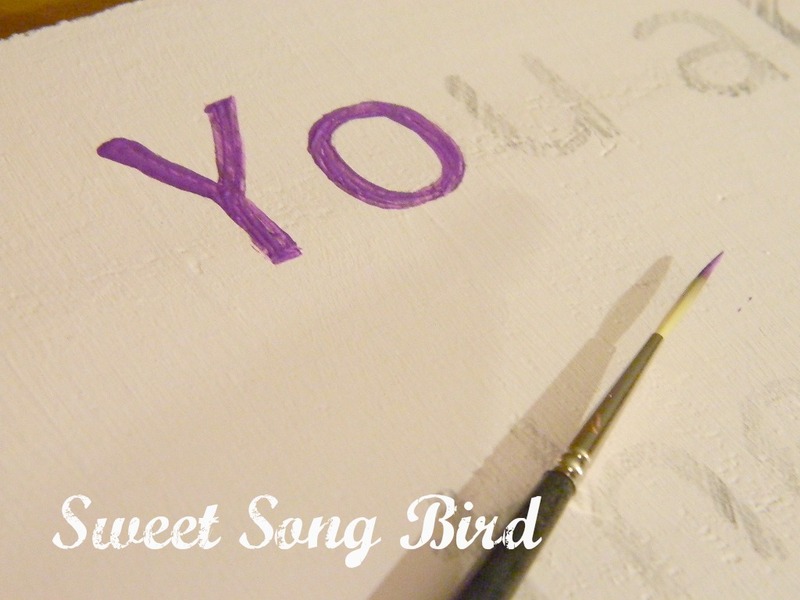 I have stenciled over fabric with them, and it worked beautifully, without damaging the fibers at all. 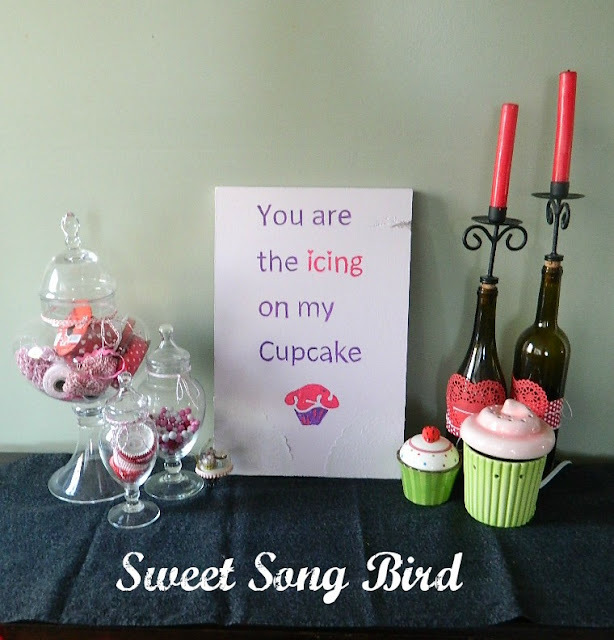 What a cute sign ~ love it ~ it's so YOU and I think Decoart is such a quality product ~ awesome giveaway! Would love to add these paints to my stuff!! Thanks for the giveaway. I love paint, and could REALLY use some new chalkboard craft paint. I love Deco Art and their vibrant colors! Love DecoArt! I use it all the time, and what a super sweet picture too! I was not very selective re: acrylic paints, until I managed to purchase a huge lot of them from someone cleaning out a family members house. I noticed there were several paints I liked much more than others. Can you guess from which company they came? You are so correct....DecoArt!!! They cover better by using less, they have a wonderful texture, really too many great attributes for me to list here. Thanks so much for the wonderful products. I am now much more selective when purchasing acrylic paints. I must confess sadly, I have never used Glamour Dust but as soon as I am able and I find it, I will correct that error. DecoArt rocks the house- super paints- love em!! Jeez I am so sorry I am just catching up and I missed all your awesome g-ways!